1. 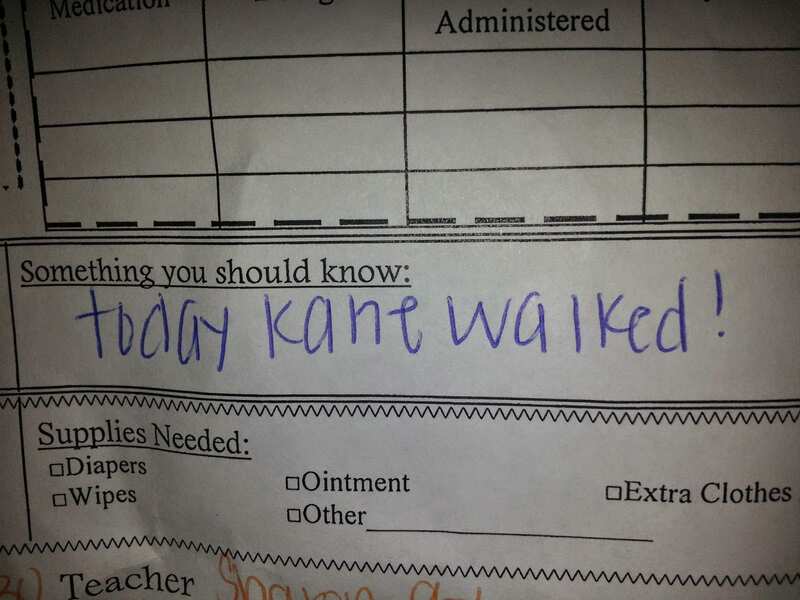 Kane took his 1st step on his 1st birthday, but he walked yesterday at daycare. My baby is growing up! I know some of you may be wondering if it bothers me to have missed seeing it, and the answer is no. I’ve gotten to see a lot of his firsts, and I did see the very 1st step, so no big deal:) I’m just happy that he’s learning new things in an environment that he loves! Ms. Camille (or MILLE as Kane calls here) got to witness it! These are little sheets that the teachers fill out everyday and send home. 2. We’re putting our house on the market next week FSBO, so last weekend was busy with a trip to Lowe’s. Isn’t it funny how much you absolutely hate Lowe’s as a kid but love it as an adult? One project we did was putting down some new lava rock, and it made such a difference look-wise! Lava rock is approximately $4.50 per bag, and it takes 20 bags to fill inside our fence. Overall, a relatively cheap way to spruce up the outside of your house. Yes, I realize I’m showing you opposite sides of our postage stamp patio, but the effect is the same nonetheless. Downside? That means LOTS of cleaning this weekend:( Just in case you were wondering, that will NOT make next Friday’s H54F post. 3. I had some Old Navy Super Cash to use. I popped in on my lunch break yesterday and was able to pick all of this up for $20! The bangles were clearanced to $1.99 each, and the dress was clearanced to $9.97. 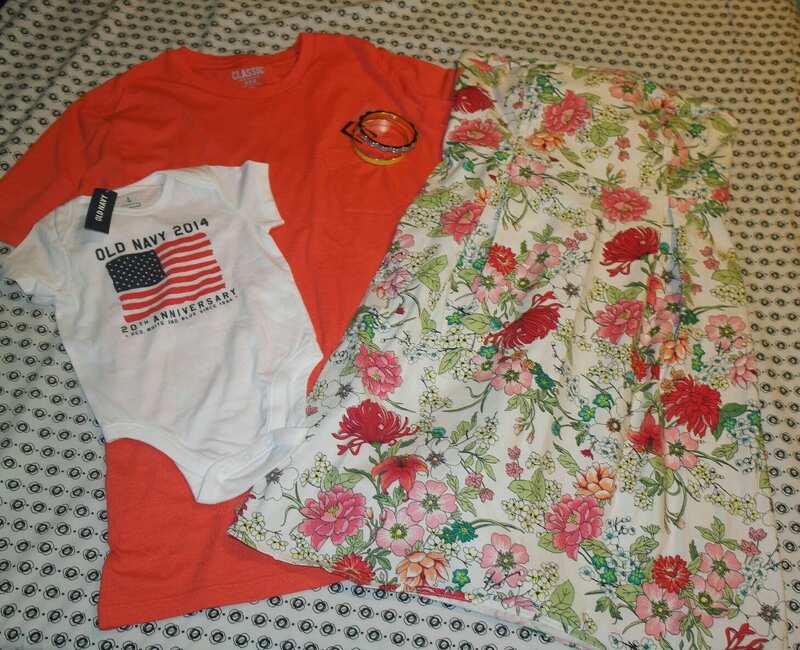 Chauncey loves ON’s t-shirts so I picked him one up in a new color, and grabbed the onesie for Kane to wear on the 4th of July. so I got it for what I normally would pay. 3.Dress, selling for $19.97 online:( Definitely search for it in store. Personally, I don’t think the deal with the Super Cash was any different than any other sale they have, but having to have Super Cash can make you feel like you have to buy. In all honesty, if I wouldn’t have found the clearance items, I probably would have just waited for another day and another sale. 4. My mom had $20 in Kohl’s cash she wasn’t going to use, so she sent it my way. I was able to pick up a Chaps polo for Kane (for next summer), a musical Mickey book for Kane, and a new Essie nail polish for myself for a grand total of about $4. I chose Essie Haute in the Heat (the reddish-pink shade) from their new summer collection. It’s currently on my toes, and Essie Playa Del Platinum is on my fingertips. 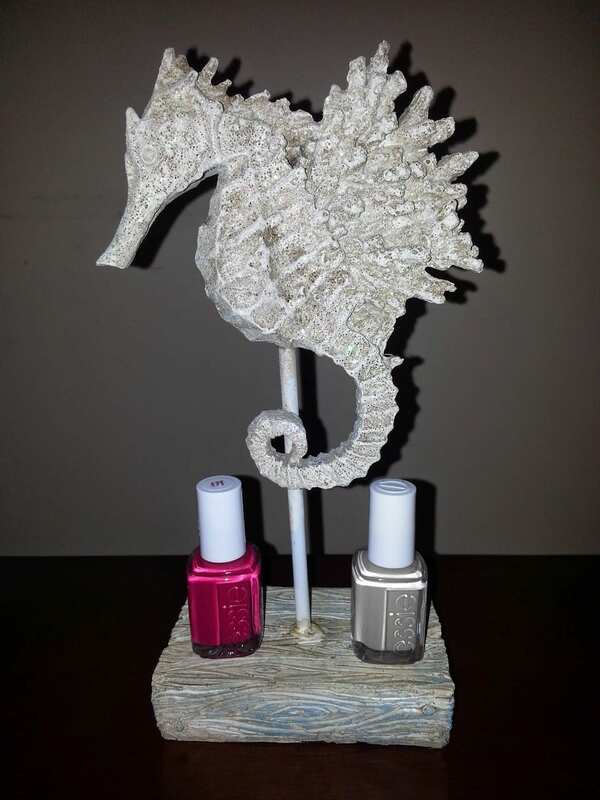 I love this seahorse–it just went straight to my beach-themed bathroom after I took this pic! I scored it on clearance at Michael’s this week. 5. I forgot to post about this last week, but it’s worth mentioning so it’s making it on this week’s post. When I was out shopping at Clothes Mentor, a huge downpour came raining down while I was inside shopping. I had Kane with me, so we waited until the worst of the storm had passed to try to make it to the car. Wrangling a car seat and a huge golf umbrella, however, isn’t the easiest thing in the world. Just as I was struggling to get Kane in my vehicle without getting him wet, the sweetest lady came over and held the umbrella for me. I thanked her profusely. She said that she just thought to herself what if that was her daughter out with her grandbaby. So nice! I hope that lady knows just how much I appreciated her help–she was a Godsend! 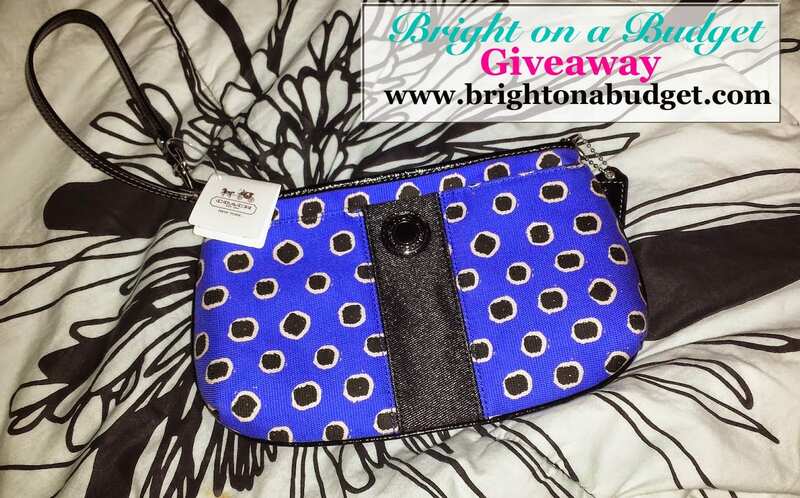 BEFORE YOU LEAVE, don’t forget to enter to win the Coach wristlet giveaway, and check out the new series I’ll be posting about on the blog–Wardrobe Re-Wear! Comment below to let me know what you’ve been into this week! As always, linking up with Lauren from the Lauren Elizabeth for #H54F. Super cleaning a house to sell is so much work!! 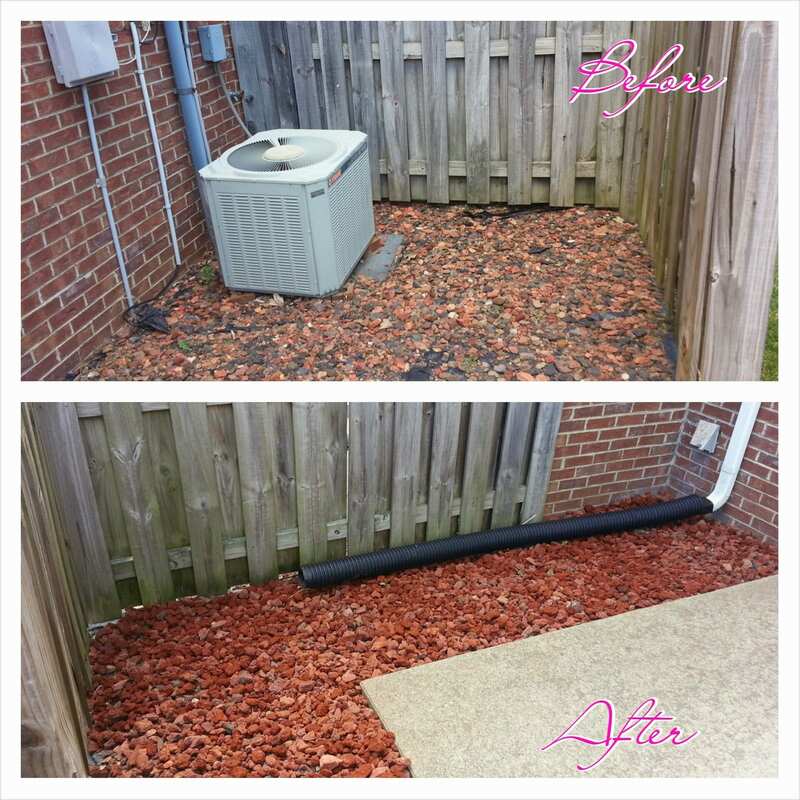 Your patio looks great so keep up the good work. Hopefully it'll sell quickly 🙂 I LOVE your umbrella story – that was SO thoughtful. I was in the same situation during a rain storm and I probably would have cried tears of joy if someone would have held my umbrella for me. Instead, I ended up soaked and frustrated vowing never to run errands in the rain again. Hope you have a wonderful weekend. Thanks for your positive words–with this undertaking, we need them!lol And that lady was so very thoughtful–too bad she couldn't be there to help you out too. Nothing worse than getting stuck in the rain, especially with a baby. Unless you have socks on while you're stuck in the rain:( Hope you have a great weekend too! I couldn't agree more about Lowes! I hated going there as a kid, now I am looking around my apartment for something else to improve or change just to go to Lowes. And I love that Old Navy dress! I had Super Cash too, but just never made it down to use it. Oh well… they'll have another sale next week 🙂 And I love that women who held the umbrella for you, I always love those stories and it makes me want to be a better person too.